Raipur (/ˈraɪpʊər/ pronunciation (help·info)) is a city in the Raipur district of the Indian state of Chhattisgarh. It is the capital city of the state of Chhattisgarh and is the administrative headquarters of Raipur district. It is also the largest city in Chhattisgarh. It was formerly a part of Madhya Pradesh before the state of Chhattisgarh was formed on 1 November 2000. 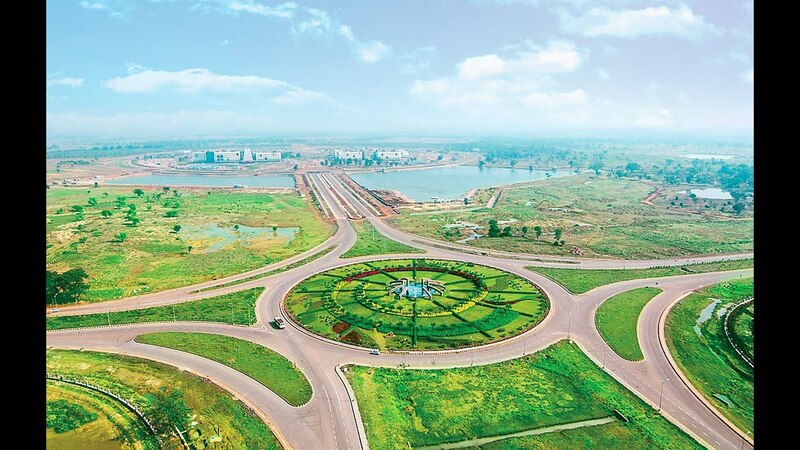 Naya Raipur is the upcoming business hub in Chhattisgarh promoted by the state government. I landed in Raipur on Saturday, June 24th to speak at an event hosted by 50K Ventures (Raipur Chapter) and Digital Desh. This was my first visit to the city. This post is my experience in the under 12 hours that I spent at Raipur. Airport/ Infrastructure: The airport is beautiful. It immediately gives the feel of a new and upcoming city that’s ready to grow. The roads are well laid. As in most emerging Indian cities, I witnessed a Porsche, an Auto, a cart all at the same time. People: I met the most incredible people at Raipur. Extremely friendly and gracious. Anshul, Brijesh, Gaurav, Manish, Rishabh and a host of people that hosted the event are successful entrepreneurs at Raipur. They are extremely humble and focused. Not for a single moment did I feel that this was my first meeting. Interesting Observations: It was a brilliant sight to see young boys and girls riding cycles on their way to schools. The independent thought and self drive will set a forward looking culture for future generations. I took an Ola Auto with Sanjay Enishetty of 50K Ventures from the Airport. The intent was to see how auto drivers in the city see the cashless experience and the future. The driver was courteous and spoke well of the shift to the new age tools of doing business. Entrepreneurs/ Opportunities: The most incredible thing I experienced was, some of the most successful entrepreneurs I met were people who were born/ have families at Raipur. Some of them went out for further studies/ start businesses etc. but now they are back for good and are building the local economy. Manish of Techment is one such example along with Anshul, Brijesh, Gaurav and Rishabh. Raipur has incredible set of opportunities in almost every sphere. Naya Raipur is part of the first set of ‘Smart Cities’ to be developed in India. I will soon be back at Raipur for a Digital Desh Drive focused on how the city is being developed into a Smart City. The same will be published and launched as a book, a paper and a video at a large event at Naya Raipur.